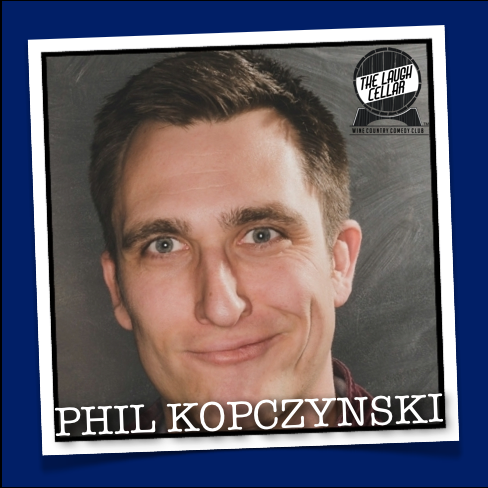 Phillip Kopczynski started comedy at age 11 doing pratfalls to make his Down Syndrome sister laugh. Phillip is a sought-after comic in the US and Canada. He placed First and Second at World Series of Comedy Satellites, won Valleyfest Clean Comedy Competition, and has performed from Vancouver BC to Orlando, Florida. Venue owners have deemed him funny enough to work with Dennis Miller, Sarah Colonna, and Jay Mohr, to name a few. His popular YouTube Channel has received over 120M views.